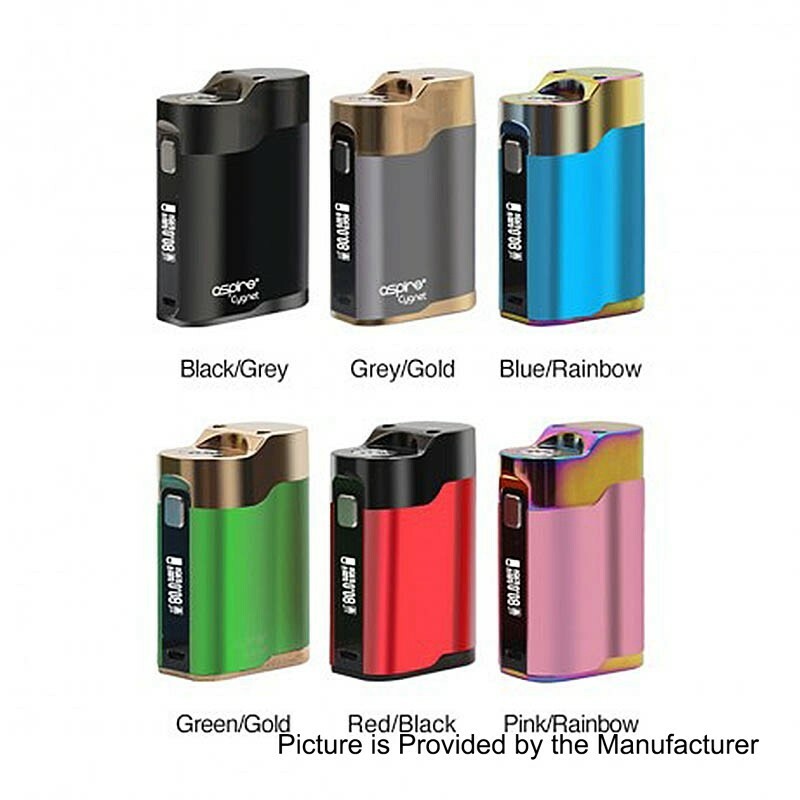 The authentic Aspire Cygnet mod is a versatile device that supports three modes, Variable Wattage (1~80W), Variable Voltage (0.5~8V), and Bypass. The Cygnet will fire at resistances between 0.1 and 3.5ohms. It is powered by a single high amp 18650 battery (not included). Coming with 0.86 inch OLED screen, it is easy to read vaping informations. There is a micro USB port for convenient charging.